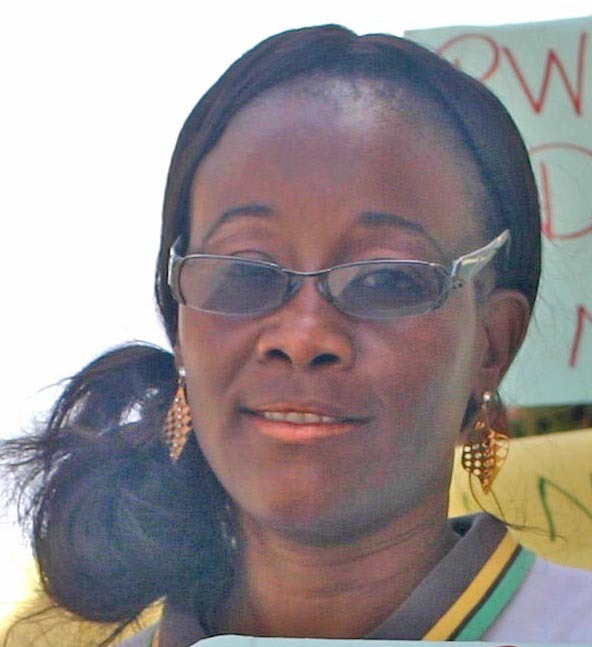 Rachel Roberts, President of the Grenada Public Workers Union (PWU) has confirmed that a number of public officers who participated in the industrial protest by staying off the job during the month of November are reporting significant deductions from salaries. “We have become aware of the deductions and are presently in the process of gathering data to see how much of our members were affected by the deduction. After we gather the data, we will decide on the way forward,” Roberts told NOW Grenada when as asked to confirm whether or not government actually deducted from the salaries. Lydon Lewis, President of the Grenada Union of Teachers (GUT) did not respond to telephone calls or Whatsapp messages about inquiries regarding the deductions. Some public officers were on Wednesday reporting significant deductions in their November pay on the heels of an industrial showdown with the Keith Mitchell government. The Mitchell government appeared to have made good on their promise to dock the pay of civil servants who protested by withholding their labour for nearly 2 weeks over a pension dispute. A memorandum from the Cabinet Secretary to all Permanent Secretaries and Heads of Department including the Chief Personnel Officer, instructed that there should be deductions for teachers who stayed off the job on 5, 7, 13 and 14 November, while for Public Workers Union membership the instructions were for 13 and 14 November. Some teachers have reported that more than $1,000 has been taken out of their salary. One teacher reported that EC$1,224 has been taken out while another said the figure of EC$1,164 is unaccounted for according to information from her banking institution. Following the memo to government staff, union leaders had threatened dire consequences if the government had proceeded with its threat to remove the money. A news release issued on Monday following a meeting with Acting Labour Minister Anthony Boatswain and the unions confirmed that the industrial protest would cease and the parties would resume negotiations. The release made no mention of the government’s threat to penalise workers by cutting their November salary. The industrial protest centred around government’s proposal to offer 2% gratuity to retiring public officers. The unions are requesting 25%. Prime Minister Dr Keith Mitchell said that government is unable to accept such an offer because it is not sustainable and would violate the Fiscal Responsibility law. “We remain committed to offering the best possible package to workers within the context of the Fiscal Responsibility Law, Mr Speaker, acceding to the Unions’ demands of 25% advance will cripple the country financially,” said Prime Minister Mitchell when he presented the 2019 budget last week Wednesday. “It is simply not feasible given our current project revenue stream to meet these demands and furthermore to sustain them over the long term,” he said, reminding the House that the 2015 Fiscal Responsibility Legislation provides for government to not surpass 9% of GDP on the amount government can assign for salaries, wages and other expenditure per year.